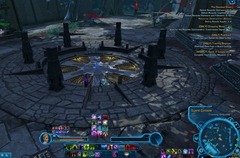 SWTOR Yavin 4 Missions and Dallies Guide. Click on a locking mechanism first and it will tell you matching runes must be clicked to unlock that locking mechanic. There are three type of symbols and you need to look at the rune beside the locking mechanism to know which highlighted rune to click. 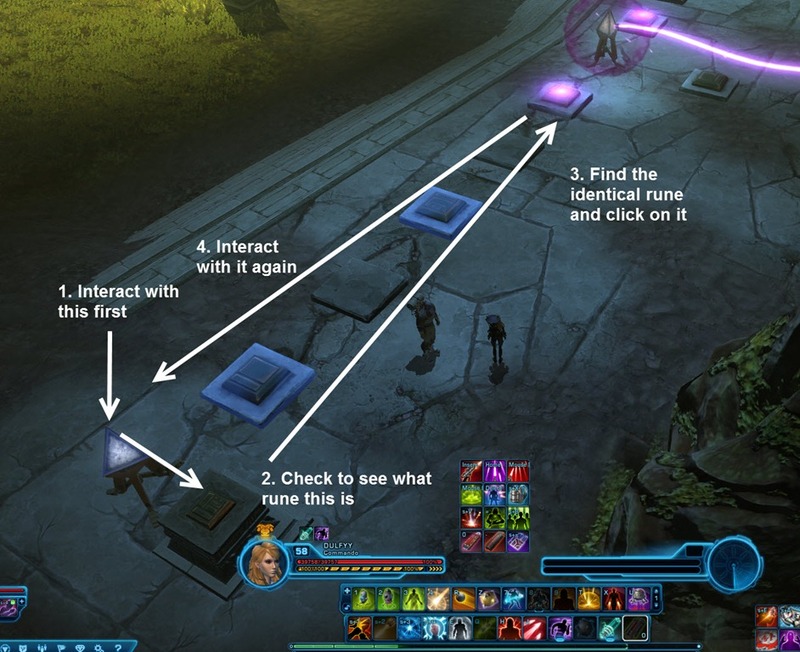 Once you click on the correct rune, interact with the locking mechanism again. You can complete this solo or complete it as an operation. For the Revan fight, you need to touch the Light Fissures and bring them to dark side chars and vice versa to free them (see video). 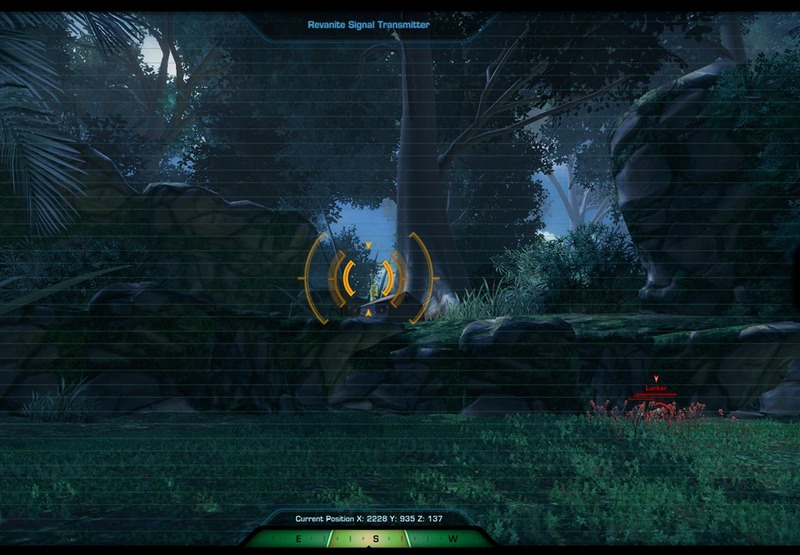 Scan for the Revanite Commander’s Transmission Signal. 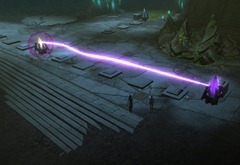 Destroy the Power Panel and Defeat the Revanite Commanders (can click on the panels from a distance). Given by Lieutenant Sabri at Coalition Staging (3422, 111). 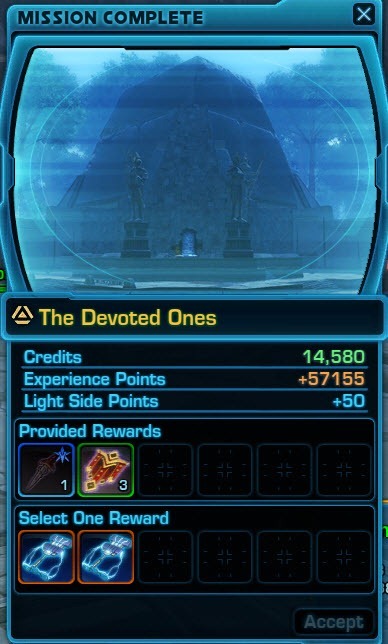 May need to complete The Devoted Ones first. LOL at the horribly low credit amounts. Yeah, but i’ll do them anyways for the sick reputation decor. 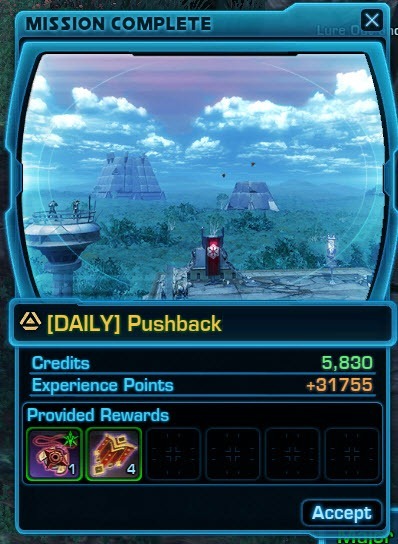 So they nerfed DPS and creds! What video on the Revan fight??? I think it is bugged. No fissures appear, and for being story mode, he pummels you really fast. where is this video? What light fissure? Tried several times, never saw anything I could click in or run through. Hey, not 100% sure this works but it did for my friend and I. Problem is you need to have a class that can taunt. 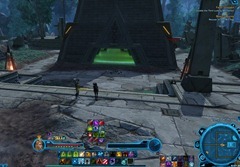 Basically if you want to fight and defeat Revan without the stupid phase were he locks up your allies just taunt him. 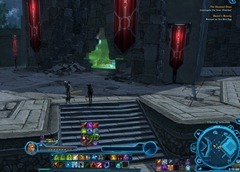 You and Darth Marr will be trading aggro here and there and it seems to keep Revan busy and glitches up the fight in your favor. Again not 100% sure. Hope this helps and sorry for spelling errors, bad english. I can confirm this. He imprisons your allies at 65% and 35% health. If you taunt him just before he reaches those thresholds (I did 67% and 37%), he won’t change phases. Completely broken. I only beat him because he refused to do his trapping attack once. Mission as of now is totally broken. Use the taunt work around below if you want a chance at surviving. So if you are a dps (and possibly a heal but I am not sure) try the same method as the tanks do with taunting at 65% and 35%, except instead of taunting use your aggro dump at the same percentages. make sure marr is not force choked, and to be safe, interrupt the choke before 68% ish and stand near marr. I just successfully killed him this way. Good luck! Nah, I’m doing what you said and he’s still imprisoning my allies. I’ve done it finally 😛 I respeced to tank and had 2 taunts. I taunted him when he was going to the center and then used Threatening Scream when he was already there. It worked 🙂 Later, he repeated this mechanic not at 35%, but 32%. I’m certain. Maybe because I was trying to bug him. I didn’t manage to stop him from using his mechanic but luckily he spawned Fissures that time. Where is this video you speak of for The Enemy within? There are NO light fissures on Solo mode (not sure about the other mode yet) and i have tried 7 times to no avail. Why can’t people just read the comments before asking the same question like 10 others already? 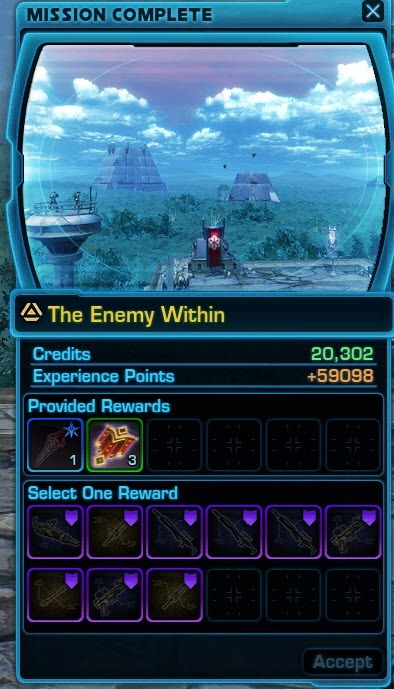 Does Anyone know if the Operations Variant of the Enemy Within has better quest rewards or not? The fissures won’t appear anyway. Use the taunt workarounds mentioned until it’s fixed. It make take a few tries. 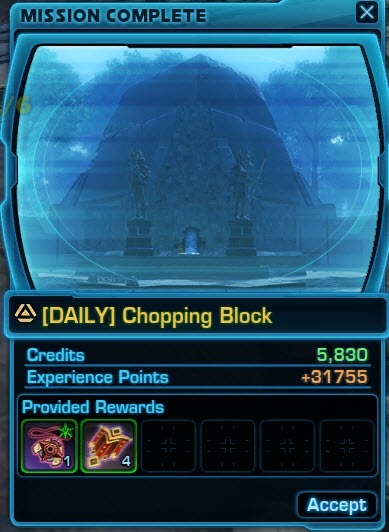 anyone know how to get to top area for Daily Chopping Block? cant find the way to the shut off zone. Just click the node on the tent from the bottom of the cliff. It’s long distance but clickable. nvm found it. yeah for the same problem as everyone else now. Revan! The second “whirlwind” phase for Revan actually begins closer to 32% than to 35%. Better to taunt at 34% than at 37%. The first phase does happen at around 65%, however, so 67% is a good time. You do not need to taunt to win. I’m a Sage Seer (so heh, no way in hell I’d have a taunt) and I solo’d it. Basically, you need to stay behind a pillar (pillar being between you and the center of the ring), esp. 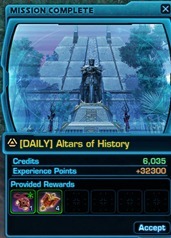 when Revan gets down to 65/67% and 32/35% Somehow, it cancels out his pull + npc cc ability since he can’t pull you, so you can just keep attacking him from your little safe spot until he dies. Not a fool proof method, He will still pull all npcs to him and trigger that phase even if he can’t pull you. Just killed him… by wipes. All got achievement… but it didnt counted for weekly. I just did it last night. We had somewhere about 19 people I think. The lag made the fight full of deaths, but the respawn is really close, so you can just run back if the rest of your group is still fighting. When the fight starts, if your first attack causes him to phase out momentarily then he will glitch. I presume this is because he is switching from “Ops mode” to “Solo mode” in order to engage the (apparently bugged) Solo mode mechanic. I am a Jugg tank, and running with a Sniper who used Series of Shots we managed to avoid this “phase out” bug and thus the first NPC cc mechanic @ ~75% HP. 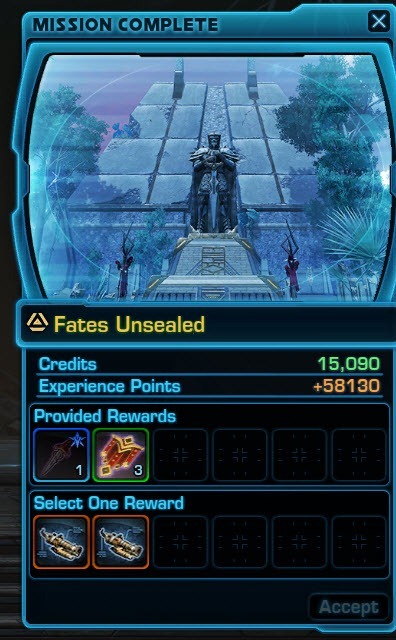 Ironically, when we reached Revan’s second NPC cc @ 25-30% HP his Solo Mode mechanic kicked in, but the Light/Dark buffs failed to break NPC cc and we wiped when we lost Satele Shan’s battle meditation (because she died in stasis she couldn’t auto-revive). 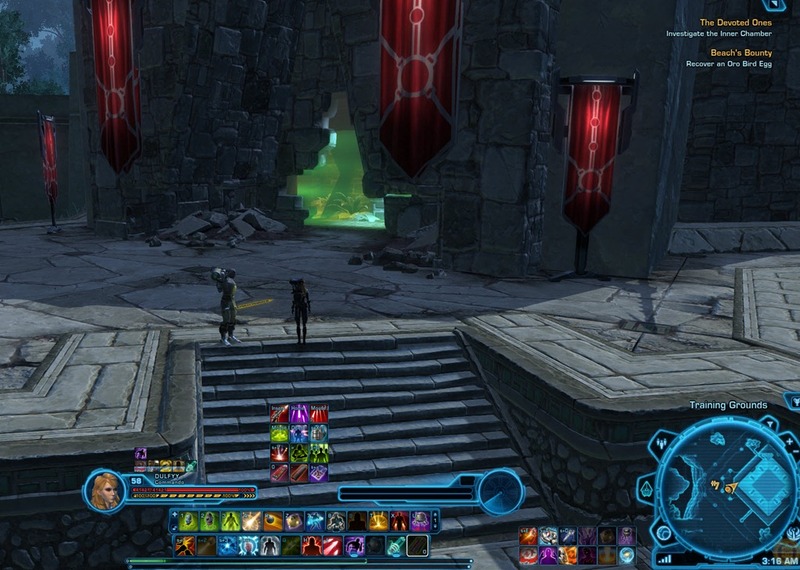 On the next run, we opened again with Series of Shots and I then kited Revan behind a pillar outside the ring of the arena, put my back to the pillar facing outward away from the arena, and face-tanked Revan directly. Part of the bug mechanic appears to be allowing an NPC to take aggro, but again this only worked for the first NPC cc. 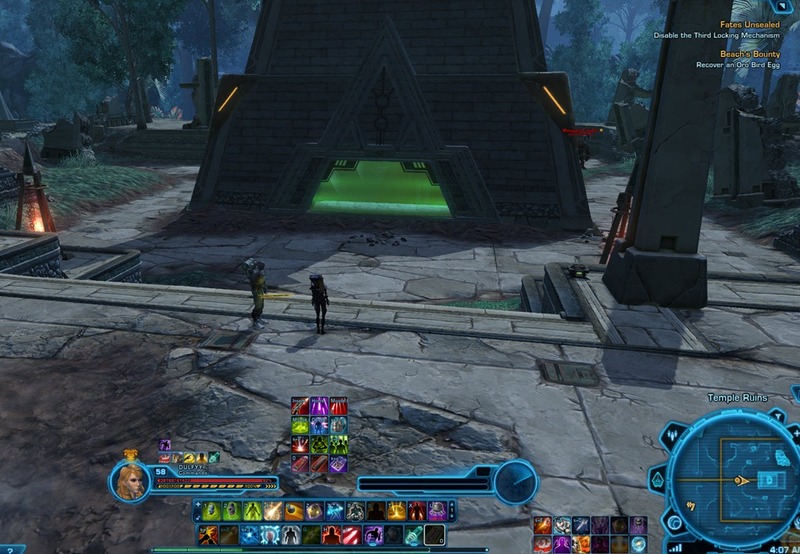 By the second cc we managed to keep Revan’s aggro on me and our companion healers kept us healed while we wore Revan down the last 25% of his health without losing NPC buffs. 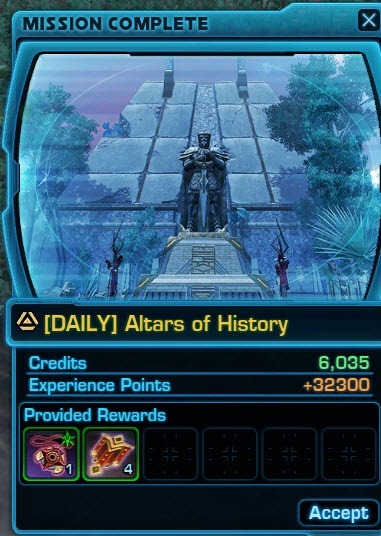 I should note that the second cc still worked, so it was just myself, the Sniper and our companions that were active for the last 25% of Revan’s health. Cecond mechanic worked for me – simple and effective for tank character. 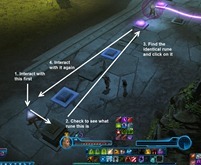 The Dalies are not given after doing the mission like it says, you have to finish the whole questline including Revan to unlock all of them. 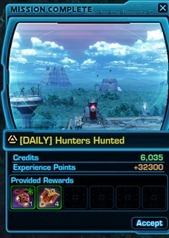 Dailies on Yavin 4 will appear when you run all the line (almost the same quests as daylies, just as on Oricon) up to the final quest “The Enemy Within”. You can do them before completing “The Enemy Within”. But weeklies will appear after “The Enemy Within”. No you can’t. I have done all of them except the enemy within and the terminal is still locked. 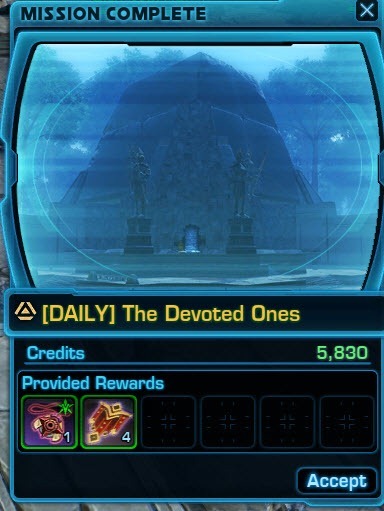 Only two more dailies will appear at the terminal. 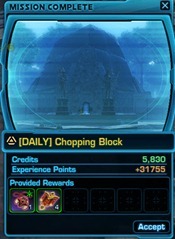 The other dailies are the side quests you pick up at the beginning. I dunno how to get to the higher grounds in the Chopping block binnocular quest. Any indications? I just shot the thing from the lower level. The mobs spawn down there. THANK YOU! That helped so much. to get the dailies open do i have to complete The Enemy Within or the raid equivlant? Not all of them. Only the Confederacy and the Devoted Ones dailies….the others you can pick up again from the quest givers once the dailies re-set the next day. The Confederacy and Devoted Ones dailies don’t open up until you complete the Yavin missions and the Revan fight. 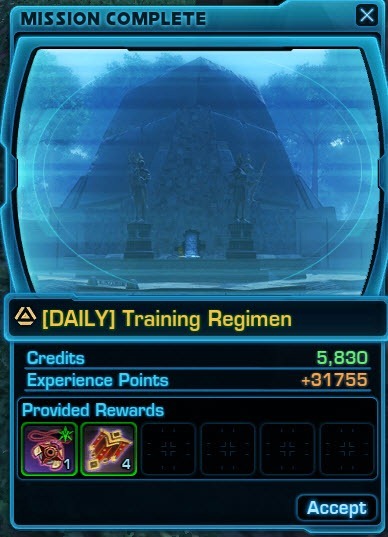 You can do them once, but you can’t get the repeatable dailies from the terminal until you’re finished with Revan. the 192 companion weapon is reward for end of yavin as well as end of prelude to revan? You also get an off-hand 192 item for your companion, when you do ALL the dailies that Arankau gives you in Rishi Village. 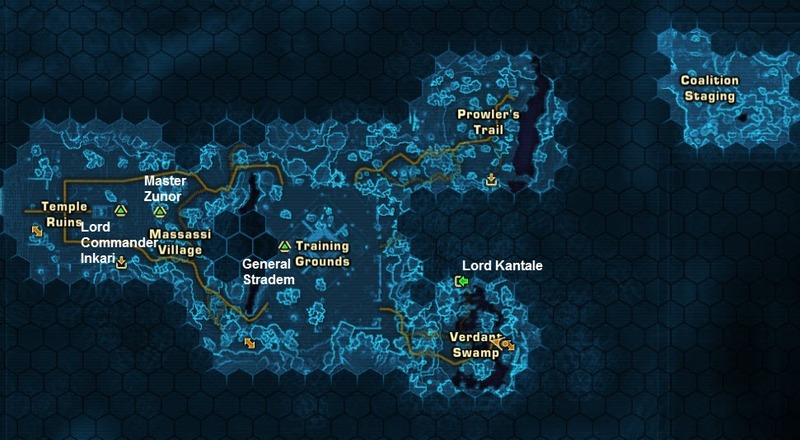 Do them – they are faster and easier than the other dailies where the capital city is. just to let you guys know pushback and pathfinding have the same bonus mission, so killing the Krakjyas and roamers count twice. The best way I found was a Krakjya near the nest that spawns the bird queen, and a roamer and Krakjya near the village where you free the prisoners during hunters hunted. 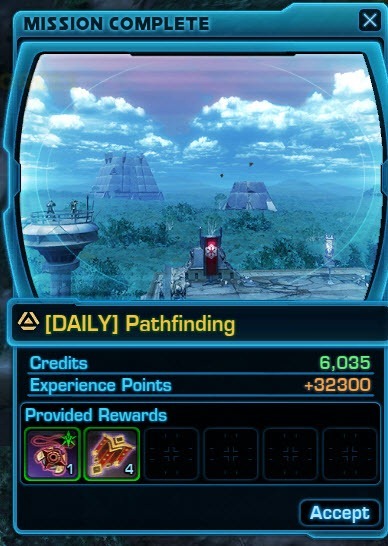 Ofc if you turn in pathfinding before you do the bonus, it only counts for the one mission. 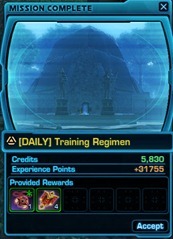 All the dailys with except Training Regimen, have a bonus mission. I can easily get over 150k, a day running this. I once got just over 200k doing the one weekly and the 8 daily missions. 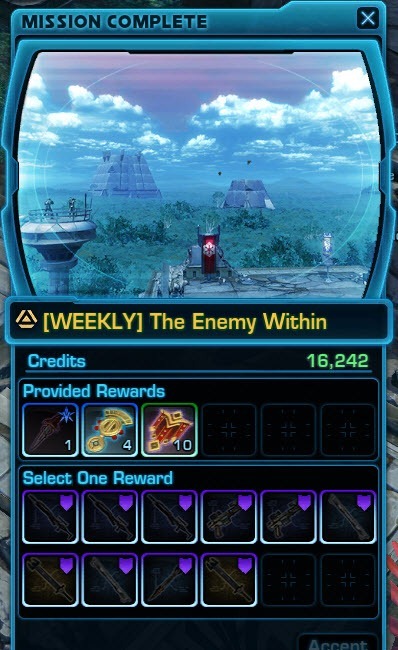 The 192 companion gear from the weekly vendors for another 100k or so too, Yavin dailies are a cash cow for broke folks. Does anyone know what the “Activate Sensor Auresh (etc)” quests are all about? Pathfinder’s Duty, a bonus mission for the Pathfinder daily, is pretty much the same as Pressing Onward. Apparently they removed the gear rewards … thought they said they would keep them in there? 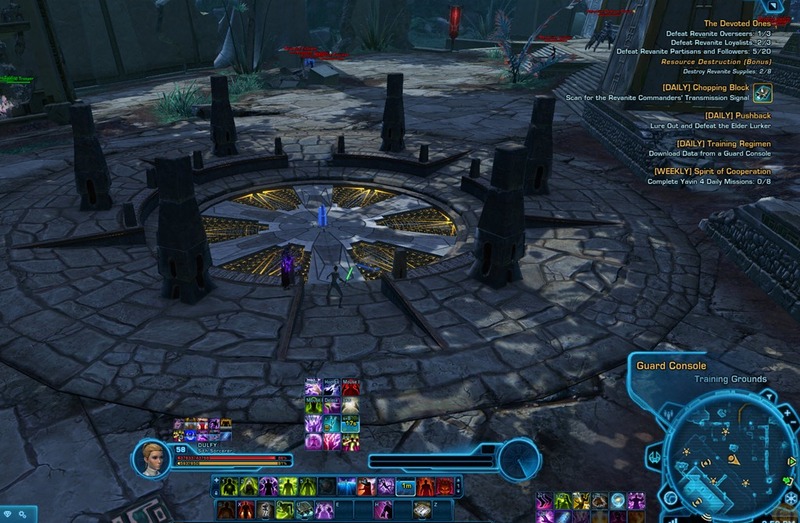 The terminal on Yavin doesn’t seem to work anymore. 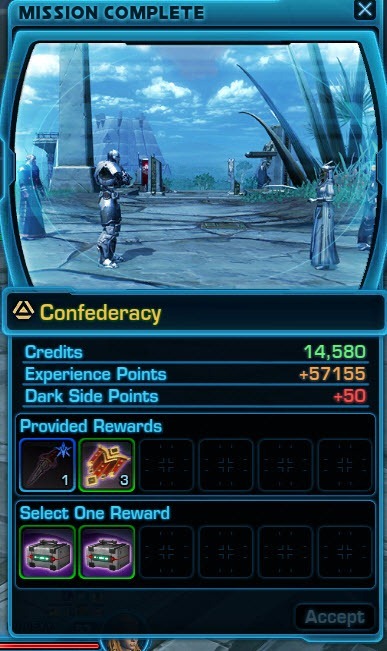 Finished the Confederacy mission but the terminal is completely greyed out. Not eligible. 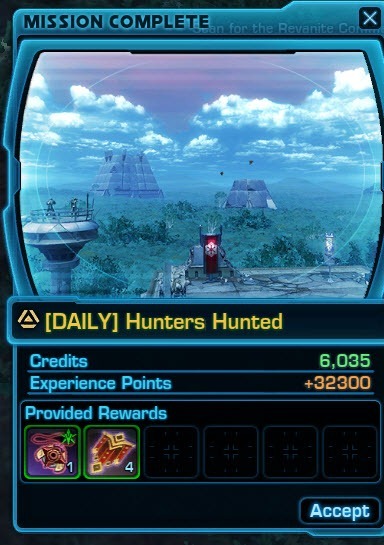 There are only 4 daily mission givers left in Coalition Staging. how about actually showing where these missions are, heh? It seems like they removed missions from the terminal. 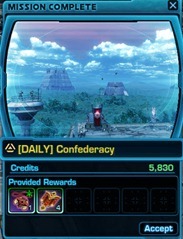 I’ve done the Confederacy, but for me daily terminal is greyed out and when clicked gives “Not eligible” message. I never understood this removing content trend. Especially since there wasn’t much content to begin with.